This is not necessarily going to be a full review of the movie Blade Runner 2049. Oh, I’ll give my official thumbs up or thumbs down at the end of this article- or maybe before – but there are interesting ideas in the movie that I think are worthy of a blog post or two. Will this blog post be worthy of your attention? As usual, I make no promises. Despite how the title of this post might be interpreted, I’m not implying that Blade Runner shouldn’t have gone sans sequel, a one-and-only. I enjoyed the original with Harrison Ford and Rutger Hauer, and even if I don’t consider it a cinematic masterpiece, it’s certainly an influential film and solid science fiction. Blade Runner 2049 is a worthy successor. Blade Runner 2049 is a more complicated film, and brought multiple ideas to the table, whereas I consider the original more straightforward, a story of replicants desperately trying to extend their lives and a human (I’m not in the camp of those who assert that Deckard is a replicant) trying to prevent that from happening. Blade Runner would have been just an interesting and stylistic future-noir science fiction if not for the transcendent ending where replicant Roy Batty opts to spend the last few seconds of his abbreviated time on Earth by saving his enemy Deckard’s life, so Roy could peacefully expire with someone alongside him. Because dying alone is dreadful. Blade Runner 2049 doesn’t quite hit the same emotional moment as Roy Batty quietly chatting with Deckard, whom he had been trying to kill minutes before on a rainy Los Angeles rooftop. But I think the movie does try and nearly succeeds early on. Part of the success of the Roy Batty ending in Blade Runner was in the unexpectedness. Deckard and Batty were both trying to kill one another in a creepy old abandoned urban mansion. I expected Deckard to somehow get the drop on the homicidal replicant and a satisfactory B-movie ending would be had. I did not expect what actually happened. But that wasn’t the surprise I’m talking about, the unexpected twist that engagingly set up the spine of the movie. It was the discovery that Rachael Tyrell from the 1982 Blade Runner had died giving birth. Emphasis on giving birth. Baby Replicants? Or Just Babies? The biology of replicants is deliberately vague in these films. Really, almost all of the details of what a replicant is is vague. It’s clear that they’re manufactured humans, and by virtue of their manufactured origin are not granted the rights of personhood. Joe at one point brings up the idea of a soul, something it’s assumed that a replicant lacks, but the human beings on display in either movie aren’t really much of an argument for the existence of souls in rank-and-file humanity. But everyone in the movie is shocked with the implication that Rachael could give birth. It’s declared by replicants in the know as a miracle. The movie wisely avoids getting too metaphysical, and three factions with very practical goals gradually reveal themselves. Our protagonist Joe is ordered by Madame to track down and retire the now-adult offspring of Rachael and Deckard. Simply to short-circuit the chaos that would ensue otherwise if this impossible person went public. 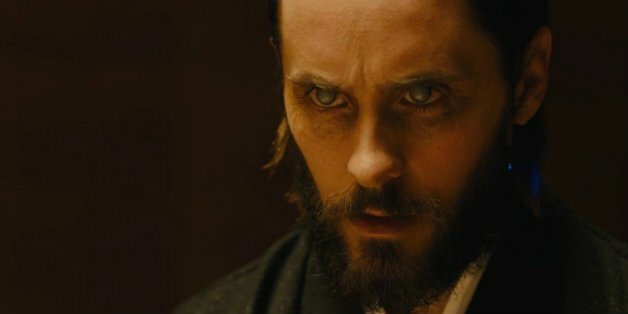 The entrepreneurial faction – represented by Jared Leto’s creepy Niander Wallace and his dangerous right hand replicant Luv. Wallace’s interest in replicant replication is entirely motivated by business productivity. Rather than growing replicants in labs, he’d rather breed them the old fashioned way. Wallace early in the movie has a speech about the queasiness of humanity abandoning human slaves in favor of non-human labor. It seems he’s trying to get back to basics in more ways than one. The interplay between these groups’ goals are somewhat intertwined and at times contradictory. Madame’s fear that the existence of a naturally born replicant offspring would lead to chaos is in sync with the replicant revolutionaries’ belief that the child is proof that they can be more than biological machines. But Wallace’s fundamental business plan rests on the assumption that replicant offspring are not humans, just differently-manufactured replicants. It seems like both things can’t be true: the child can’t be both the savior of replicants and the key to either a new form of slavery or a return to an old form of slavery. Unless it can. I mean, it depends who wins. The movie doesn’t delve deeply into these implications, which I don’t mind. The best science fiction establishes its core speculative tenets and then chugs along, allowing the reader/viewer to derive meaning and complexity. Not having one’s hand held allows for some lateral thinking. For example, I’ve recently come around to thinking that Madame’s fears might be more in reaction to Wallace’s plans than from the societal upending goals of the revolutionary faction led by Freysa. Madame might want to bury any proof of successful replicant reproduction to prevent inevitable massive forced-breeding slave labor manufacturing. That it’s better to have a sterile replicant workforce than human slaves. Although I enjoyed the thoughtful premise with the understated implications, laid out early and with appropriate stakes, I don’t know if I was entirely satisfied with the examination. Most of the movie worked on the red herring that Joe was the child of Rachael and Deckard. This seemed implausible for various reasons, mostly because Joe is a replicant. K, or Joe as I’ve also been calling him, appears to have obedience instincts that were bred into the contemporary models. Madame at times comes short of giving him an order to force his compliance, and that implies that this has been done in the past. Rachael’s child wouldn’t have had this Wallace corporation conditioning since the conditioning did not exist at the time. But Joe eventually realizes the truth, that he’s not this miracle child despite having some memories of that child’s harsh upbringing in a San Diego orphanage. That can be a topic for some other post, but his research into these memories brought him into contact with Dr. Ana Stelline, a memory creation artist who lives inside of a protected environment, because of her alleged compromised immune system. So sure, I guess Ana Stelline could be the miracle baby, as a process of elimination. But because she was in an enclosure and could not interact with the outside world, and spent her time entirely working with holographic features and creations, she might have not been any more real than Joi. In fact, as far as I’m concerned – Stelline wasn’t Deckard’s child that Joe gave his life to provide Deckard a reunion with, or even a human. Just a holographic program creating fake memories. Oh! I give Blade Runner 2049 a thumbs up. I liked it roughly as much as the original Blade Runner, but for different reasons. Your mileage may vary. That’s cool. Hey, if you’re a replicant, don’t leave a comment. I have half a mind……..That’s it, I have half a mind. I haven’t seen either Blade Runner, and I have never seen Game of Thrones, so why on earth do I follow your blog? Well, you write brilliantly. This report is superb. Occasionally, you write about things other than GOT and I enjoy those. I may, at some time in the future (2049?) catch up with the rest of the world, but, there again, I have half a mind! Peter, thank you so much for your kind words! I’m glad you liked the article, despite having not seen either Blade Runner movies. Despite Sir Ridley’s protestations (and subsequent statements/re-edits) I’ve always viewed Deckard as human. However, I like that it was always ambiguous (in the original cut, and even here in 2049) whether or not he was a human or a replicant. The plot with the child makes sense either way: she was either a product of two replicants, or a human and a replicant. Both portend some type of “miracle” or “anomalous” creation. 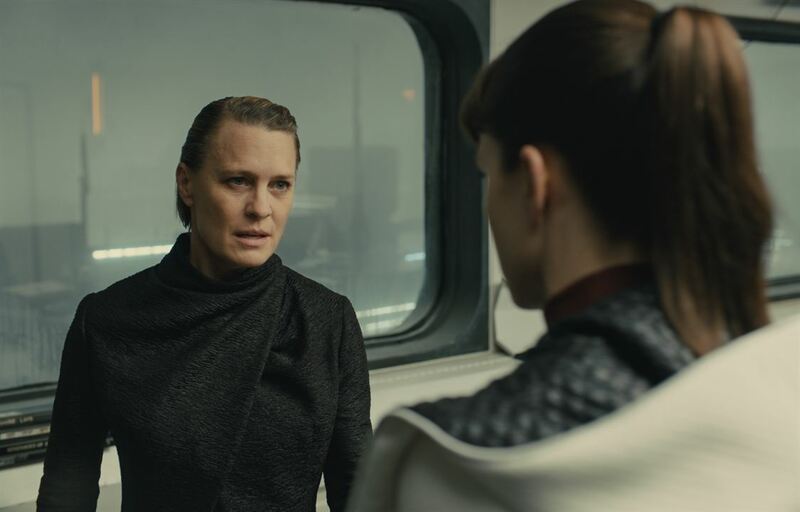 It doesn’t necessarily matter to the motives of the Replicant “Revolutionaries” (nor does it matter that much to Wallace – the important thing is that no matter the father’s “species” a replicant can become pregnant and give birth). I liked the reveal of K as a replicant right off the bat, and also got sucked into the “is he the child of Rachel and Deckard” red herring right along with him. Where we diverge is on the nature of the Ana. I think the movie played straight with us on that, and that she is indeed the born child of Rachel and Deckard. If she’s not, I think both movies lose some of their thematic resonance, and it would make most of 2049 lesser as a story. But hey, we’ve argued about Deckard for 20+ years…these things are fun to talk about. Can’t wait to rewatch this at home knowing all the implications and reveals ahead of time. Plus, it’s stunningly gorgeous. 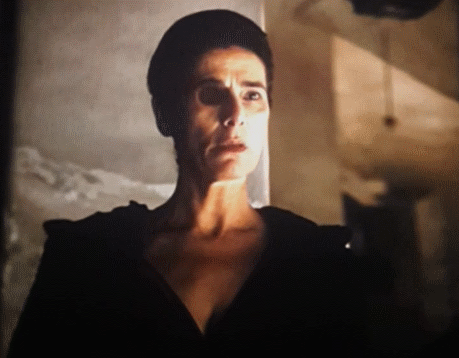 My crazy statement that Ana Steline is a hologram is largely a joke, but I would have greatly preferred there to have been some basis to Joe deducing her role. I think you are right that the movie is playing things straight. I will probably bring this up again, if I get around to a post about Joi. Thanks for your insightful feedback, man! Whether Deckard is a replicant or not doesn’t matter at all in the first movie. Whether he is or isn’t is irrelevant because it’s pretty clear that replicants are human beings with human rights. Deckard is treated like a disposable slave whether he’s human or not. It matters a whole lot more in the new movie because the whole basis of the “miracle” is that replicants have the potential to reproduce independently. But no one has been able to crack that code since Rachael died. If Deckard is a human and is the father of Rachael’s child, then their offspring is a mule. That could mean that replicant reproduction is a stalled project and that replicants can’t aspire to be more than surrogates for human reproduction or it could mean that the future of the human race is replicants interbred with humans. If Deckard is a replicant then the scenario laid out in the film (though not realized) is more likely: replicants can become the next human race, supplanting us. And we’ll gleefully encourage it as an industrial innovation that allows us to colonize millions of worlds without have to manufacture trillions of replicants. So now the status of Deckard and his daughter has a tremendous impact on how this story will play out, and it’s equally interesting whether he’s human or replicant. One way or another, his daughter represents the future of the human race. And if she really is just a hologram, that future is as much an illusion as Joi. Hey Jason! I appreciate you checking out the post. Replicant biology is vague, but so is the biology for Ana Stelline. Replicant-Replicant reproduction, creating unmanufactured humanoids who could reproduce with their kind, or replicant partners, would probably signal the end of humanity. I have questions about replicants in general, like why the four year lifespan was engineered out, why they even want them on Earth… but that will be for another post. Hey, thanks again for the comments! I love this movie. I’ve seen it three times at the cinema (and I NEVER go see the same movie twice at the cinema). I think it’s a worthy sequel to my favourite movie, and practically the very definition of an Anti-Blockbuster. Of course, it’s troubled box office likely proves me right on the latter. One for the ages, though, I think, rather than the fickle audiences of the ‘now’. At least it’s had some love from critics (an improvement there on Blade Runner anyway) and maybe Awards season will get some success too. You raise some interesting points. And yes, ever since 1982 I’ve always thought Deckard is human. Ridley is plain wrong, bit I also appreciate the ambiguity. It’s something you just don’t see in most modern movies. I do respect the ambiguity. This is all good to hear, thanks! Cinematographically-speaking, this movie is probably the best ever made. I also enjoyed the pacing, it gave all of the scenes lots of room to breathe. My teenage kids thought it was slow. My 14yo daughter and I watched the original the week before, so we had a strong refresher. She liked 2049, but not as much as BR. I’m of two minds. On one hand, it is gorgeous. On the other hand, it feels very arbitrary and piecemeal. Too many things forced into the film in order to move the plot forward, without any logic or motivation to explain them. Too many coincidences (why, out of all replicants, does Joe have Ana’s memory of the horse?) . Honestly, it felt like the director was trying to establish a new franchise, with a promise of a string of sequels, all exploring different aspects of life in Los Angeles. I feel much the same way you do. I’m saving the massive coincidences for another post. Thanks for coming over to read the post, and commenting, I appreciate it! Not sure it’s a matter of coincidences, it’s more various threads of fate that after so many years since the events of 2019 finally crash together as if it was simply inevitable. It’s not as if the film is full of plotholes. Oh, please check in with me after you’ve seen them. I like both movies, and they generate some good discussion. I’d love to hear your thoughts.